Designing a mobile with just the right mix of balance and motion is no easy task. It’s a craft that takes years to hone, and the Flensted family of Denmark has been at it for more than 60 years. You don’t have to be an infant to find yourself mesmerized by the artful beauty and minimalist design of a Flensted Mobile. Previously sold in museums and select specialty stores, each mobile is carefully handcrafted and thoughtfully designed (no two are exactly alike). Even the slightest draft in a room sets these mobiles in motion causing the shapes to sway gracefully overhead, and in the right light, casting beautiful shadows that dance playfully on the walls. Available in a selection of styles and colors. 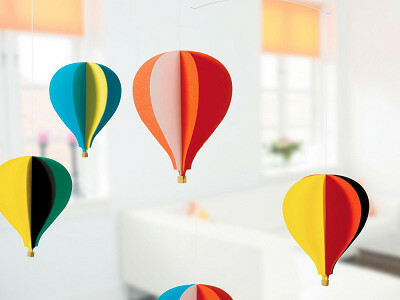 Flensted Mobiles are an enchanting addition to any room from the nursery to the office. Flensted Mobiles- a unique, contemporary art relying on movement as well as design. Imagine an elegant, abstract creation coupled with a whisper-soft air flow to bring balance and tranquility into your home or office. The mobiles are a 20th century art form, although craft mobiles have been enjoyed for hundreds of years. 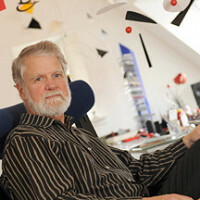 Flensted Mobiles are a second generation family owned business located in Denmark. Over 160 designs and themes are sold throughout the world every year. 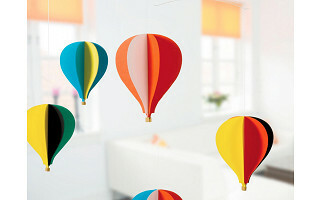 Children and adults both enjoy the mobiles and find many designs to satisfy taste. Designing a mobile with just the right mix of balance and motion is no easy task. It’s a craft that takes years to hone, and the Flensted family of Denmark has been at it for more than 60 years. You don’t have to be an infant to find yourself mesmerized by the artful beauty and minimalist design of a Flensted Mobile. Previously sold in museums and select specialty stores, each mobile is carefully handcrafted and thoughtfully designed (no two are exactly alike). Even the slightest draft in a room sets these mobiles in motion causing the shapes to sway gracefully overhead, and in the right light, casting beautiful shadows that dance playfully on the walls.